"Church movies we saw were mostly westerns--old westerns, in black and white. Father Mueller drove to 'Los' as we called Los Angeles, to pick up the films and assorted reels. He never explained why western movies were all he got; I figured he knew a cowboy." It's the 1940s. 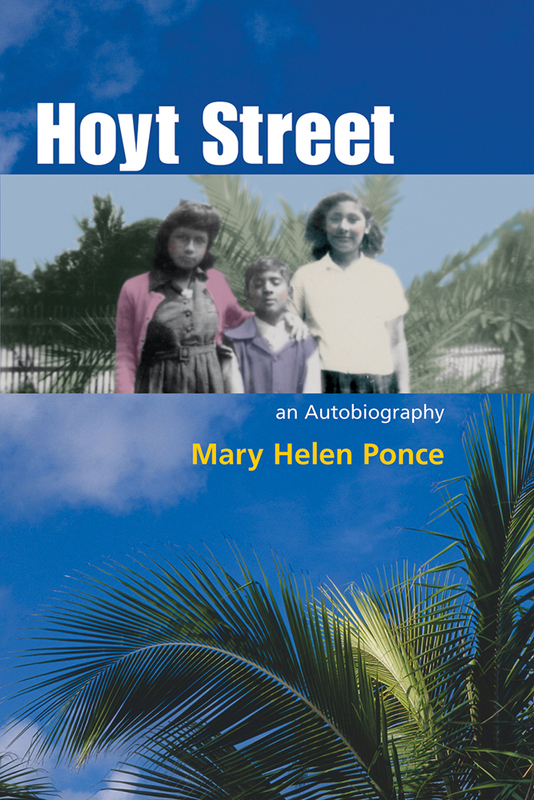 Little Mary Helen Ponce and her family live in Pacoima, a Mexican American barrio near Los Angeles. Unmindful of their poverty, Mary Helen and friends Beto, Concha, Virgie, la Nancy, and Mundo sneak into the circus, run wild at church bazaars, snitch apricots from the neighbor's tree, and poke fun at Father Mickey, the progressive priest who plays jazz on the church organ. Experience the shame of first-generation Americans examined at school for lice, and the desire of a little girl who longs for patent leather shoes instead of clunky oxfords. Share Mary Helen's joy as she savors the sun on her face during walnut-picking expeditions, and basks in her family's love all year long. Mary Helen Ponce, professor of literature and creative writing, is the author of Taking Control, The Wedding, and the forthcoming Los Emigrantes, which is based on the 1774-1775 Spanish expedition to Alta California. Her work has been published in France, Germany, Mexico, Spain, and Romania. She resides in Sunland, California.